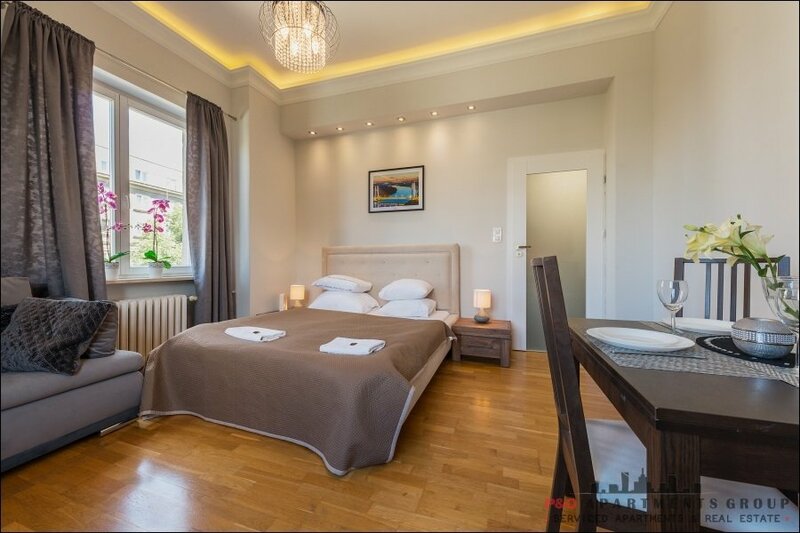 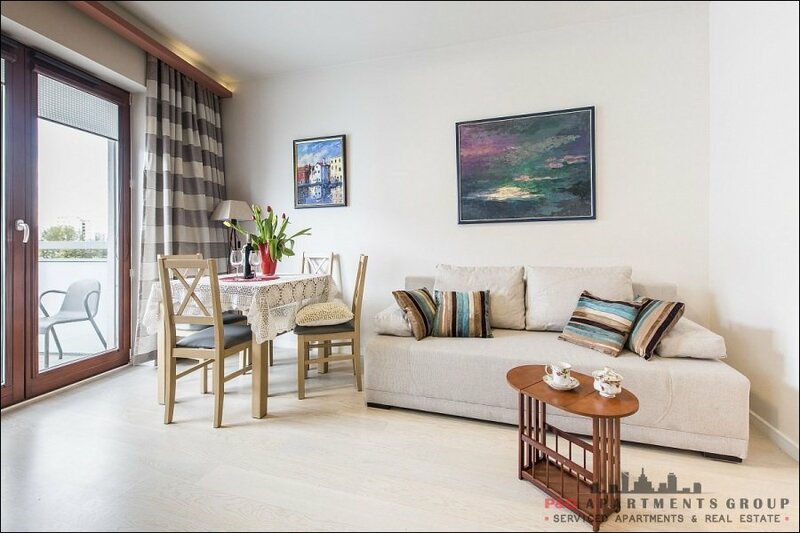 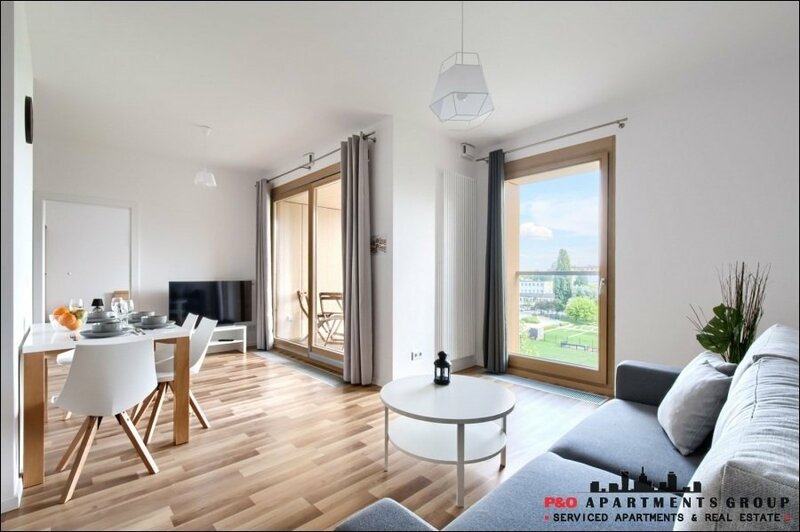 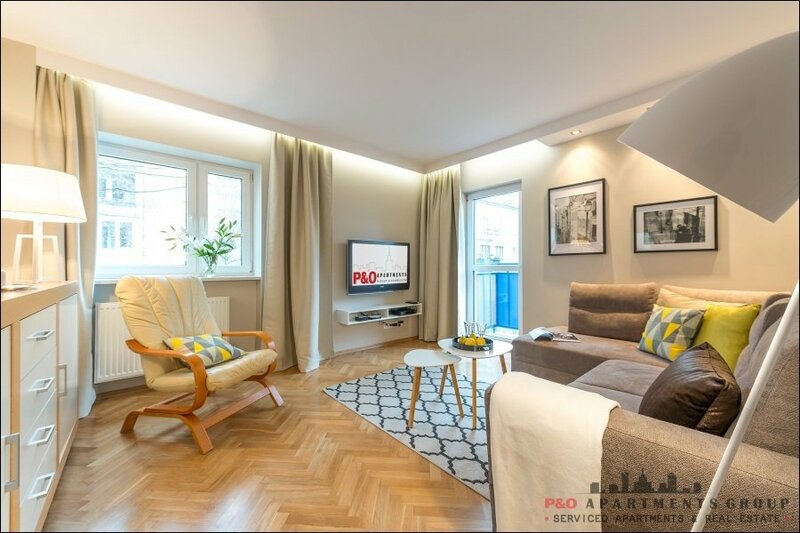 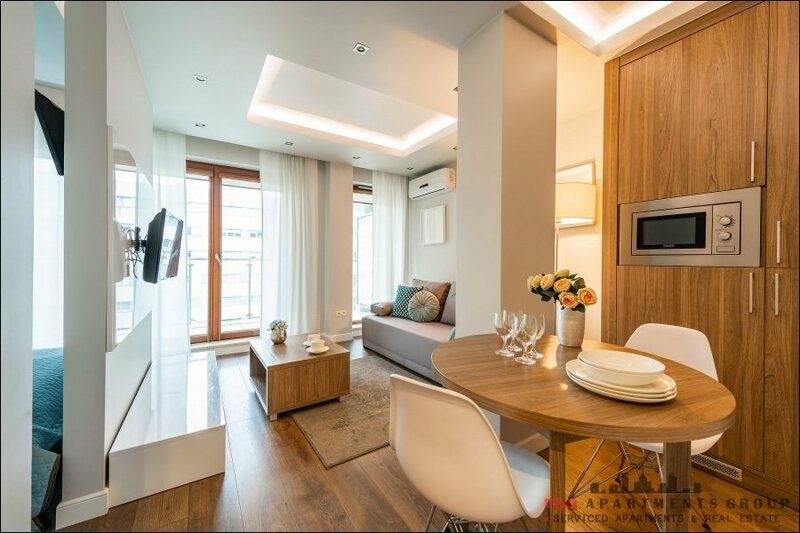 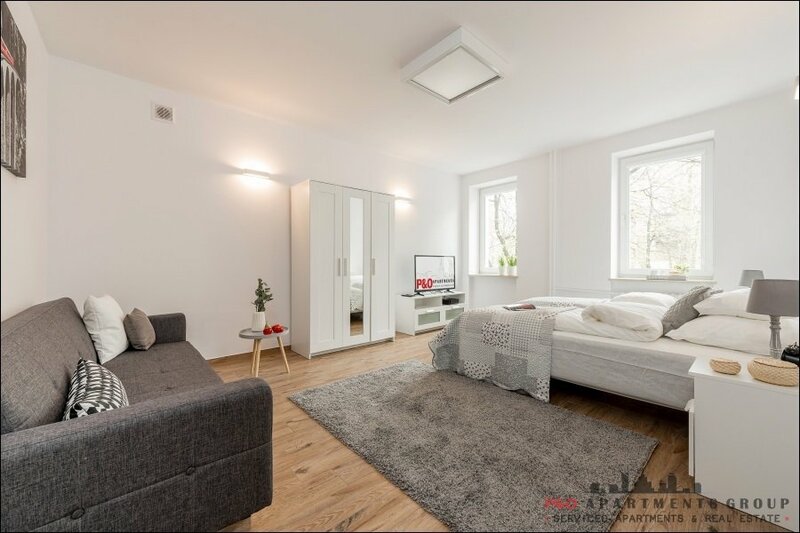 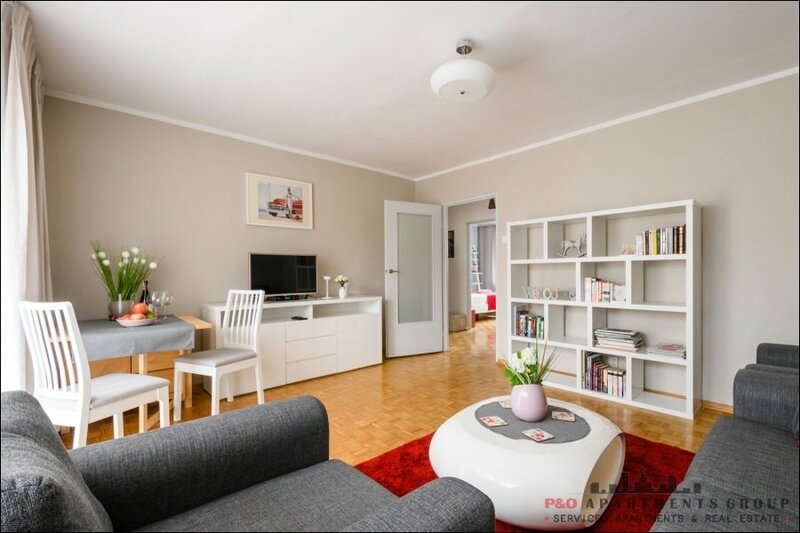 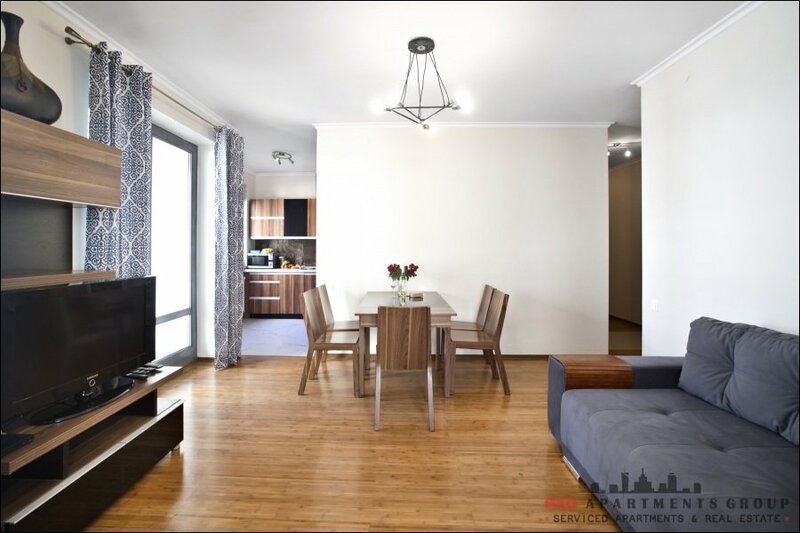 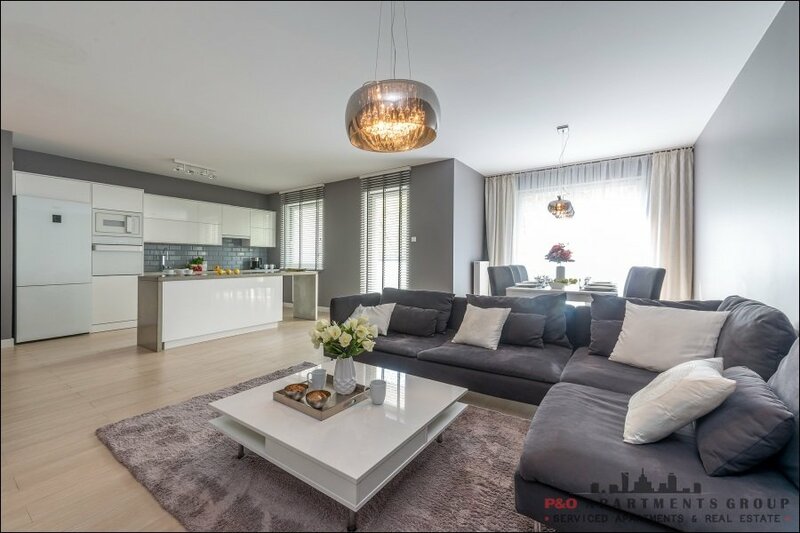 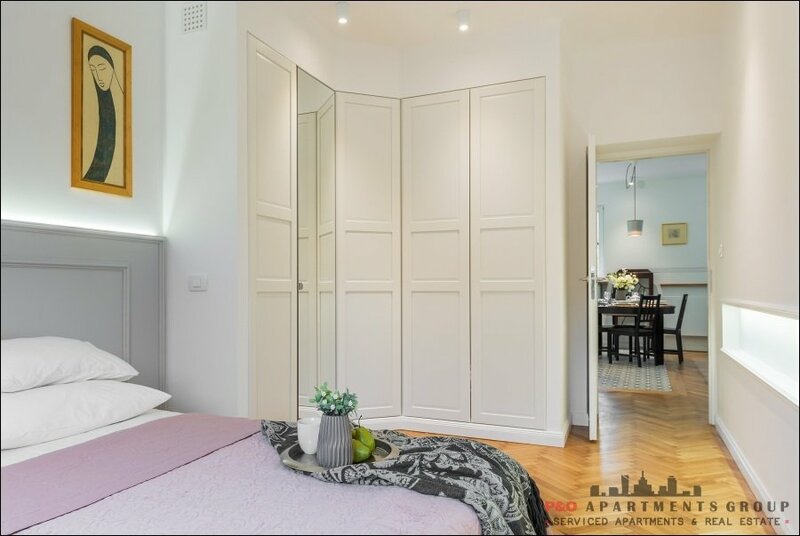 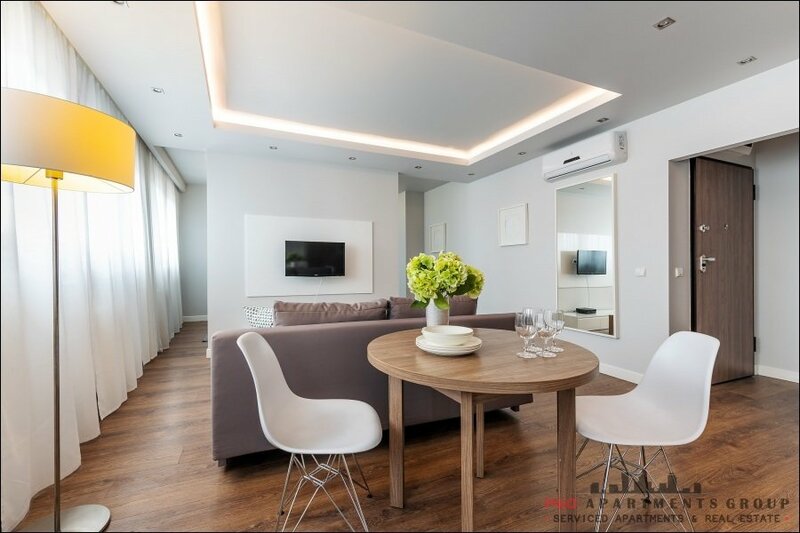 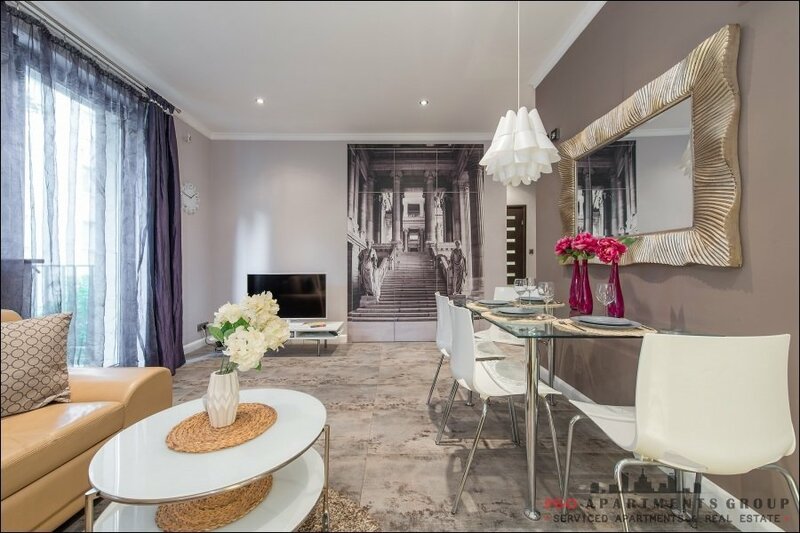 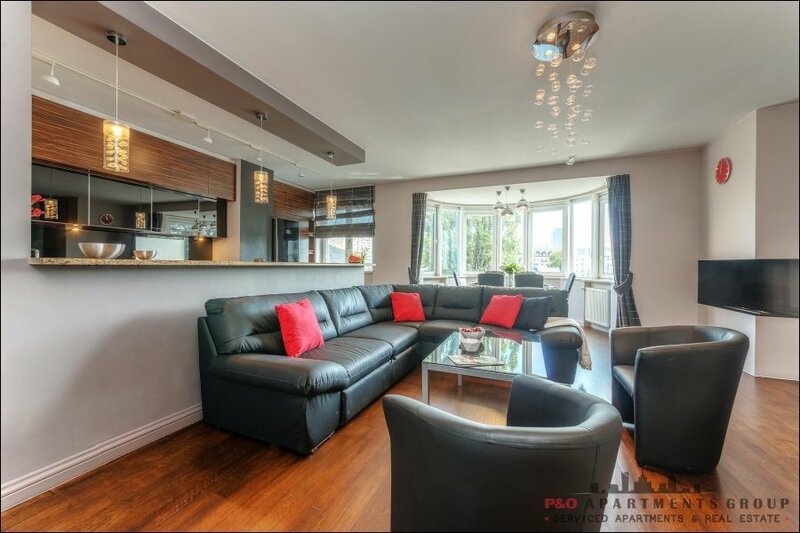 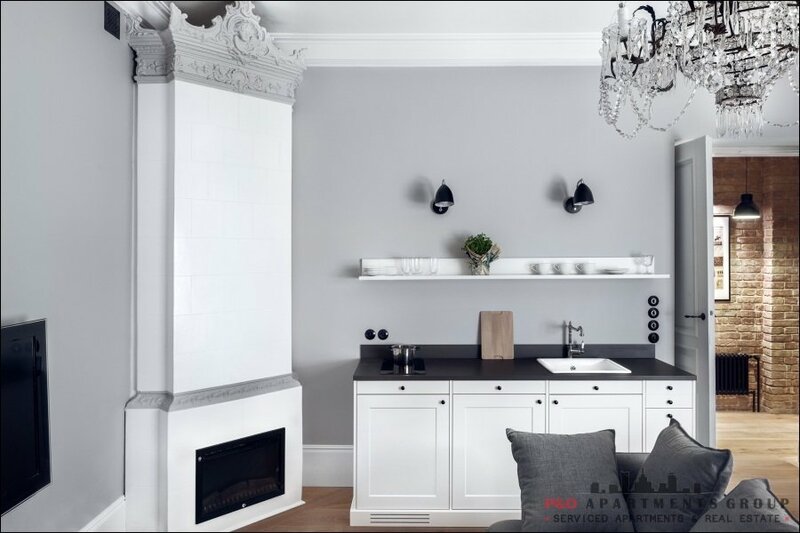 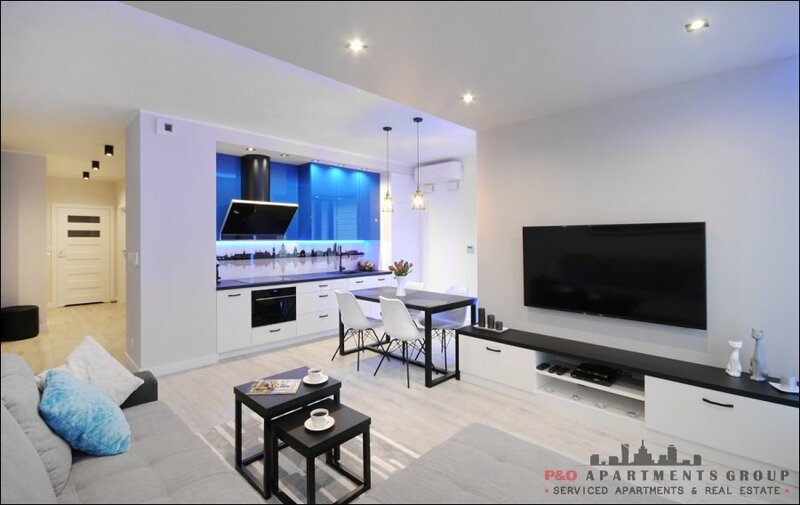 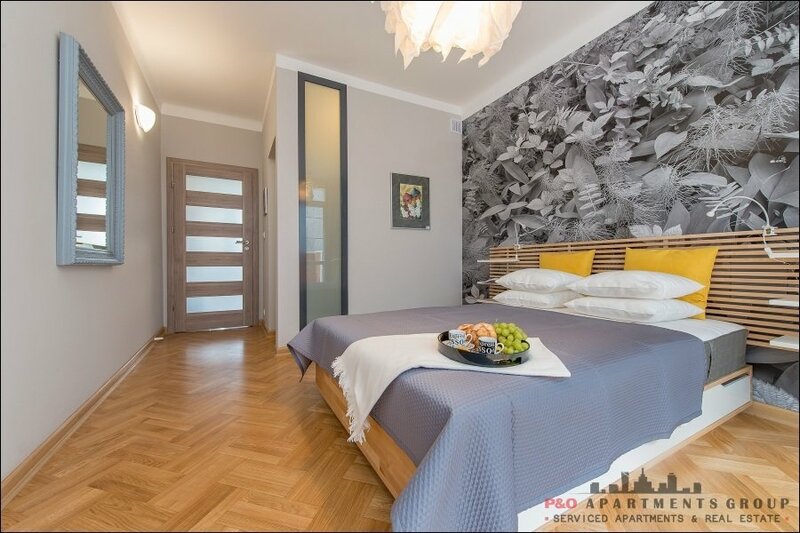 Designed by an architect, an elegant two-room apartment located in a great tourist and business location - on the Royal Route, close to beautiful green areas: Royal Łazienki Park and Morskie Oko Park. 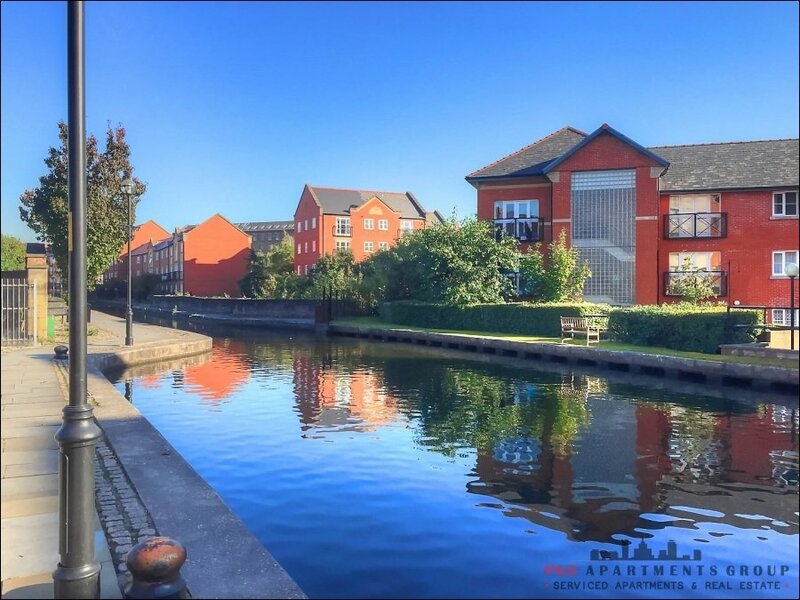 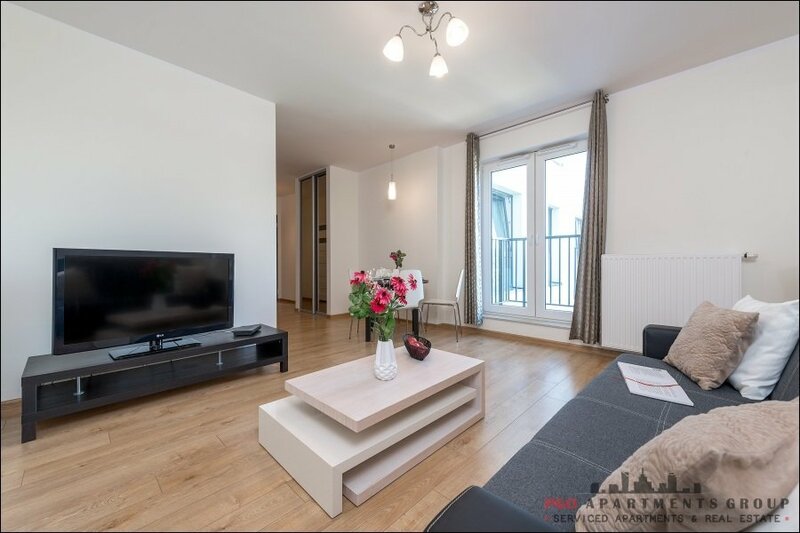 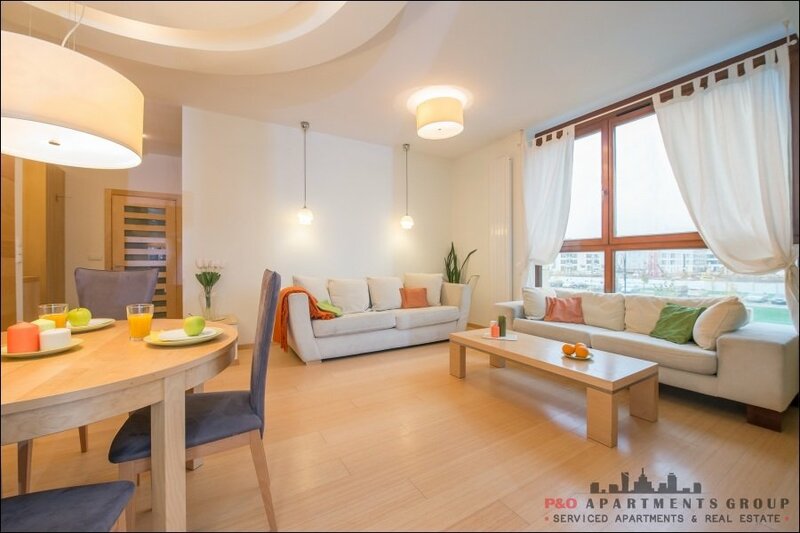 Excellent access to the Center, in close proximity to numerous embassies and the Documentary and Fabulrane Film Studio. 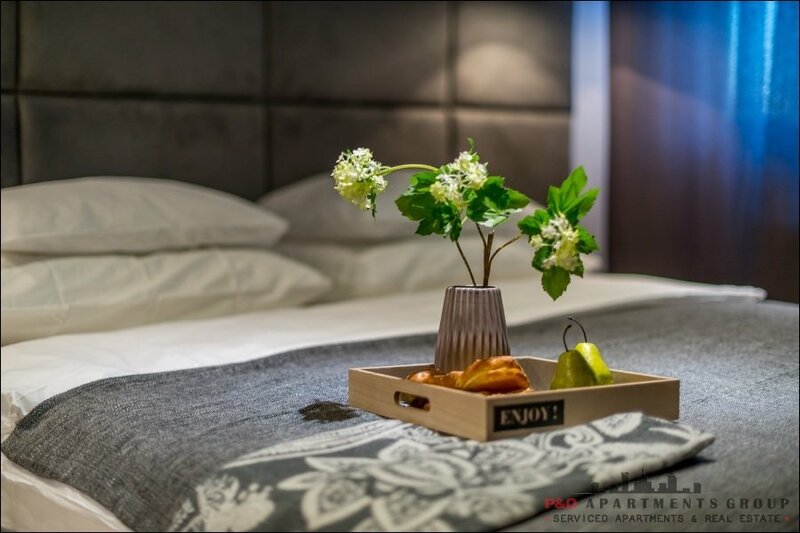 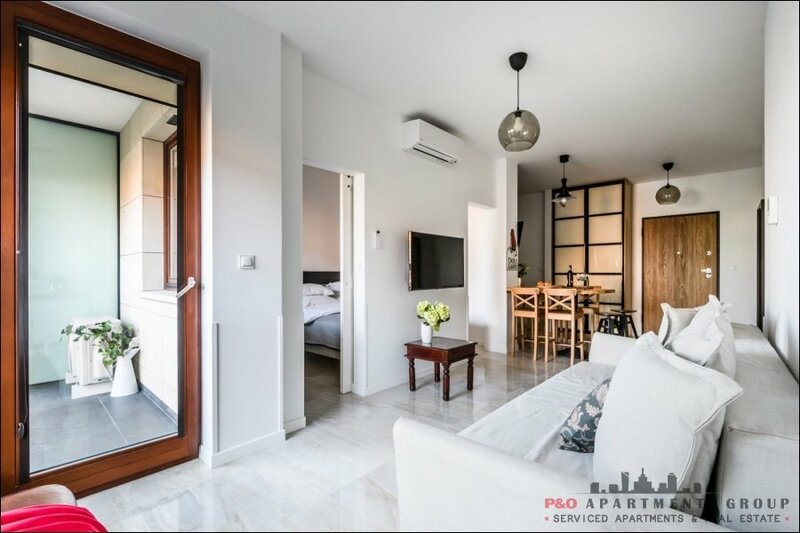 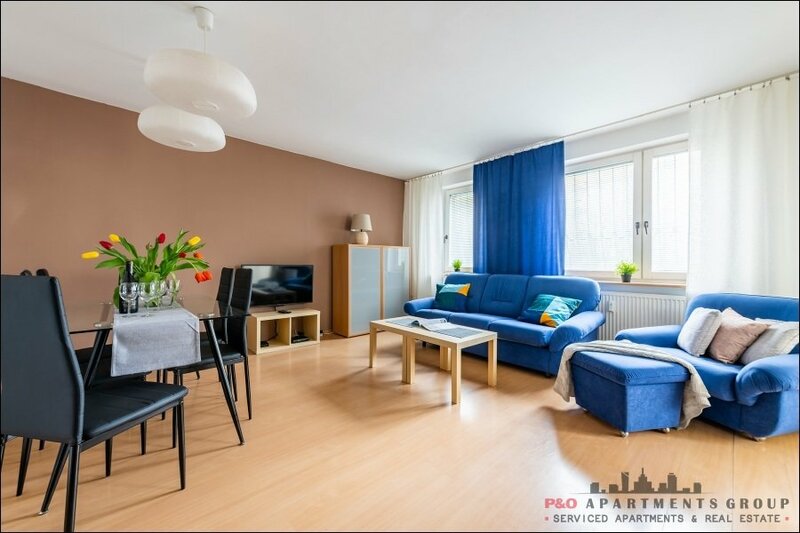 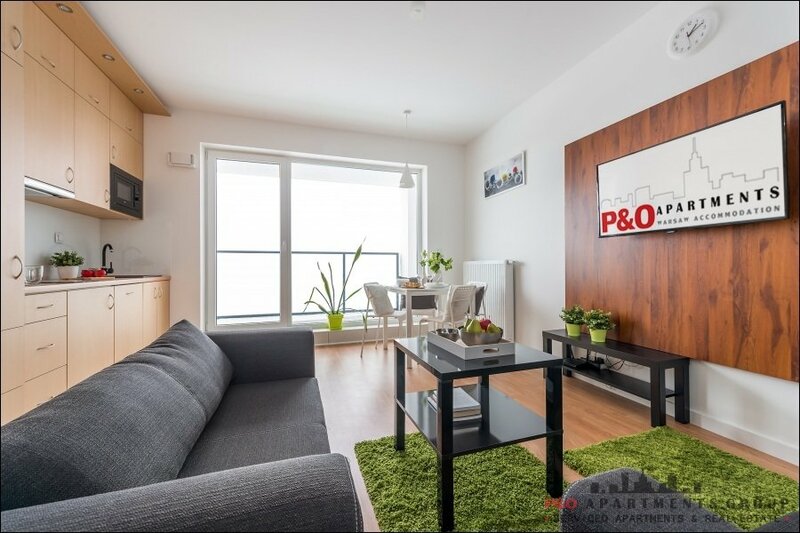 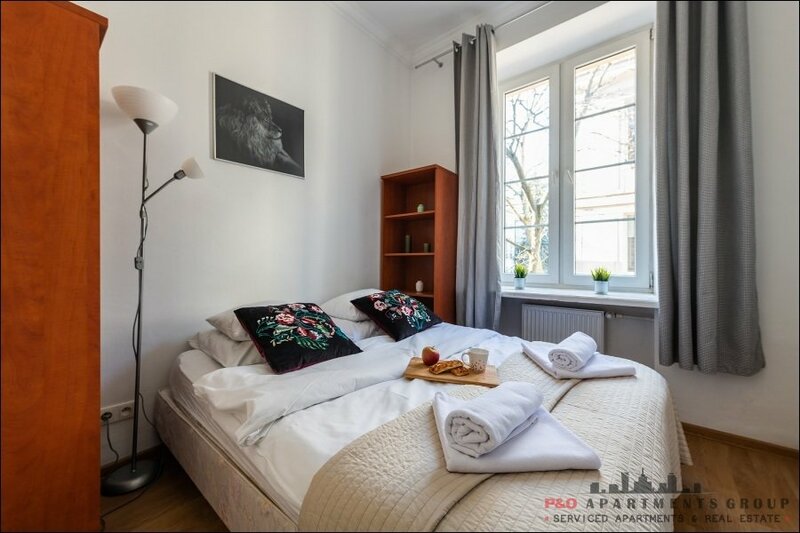 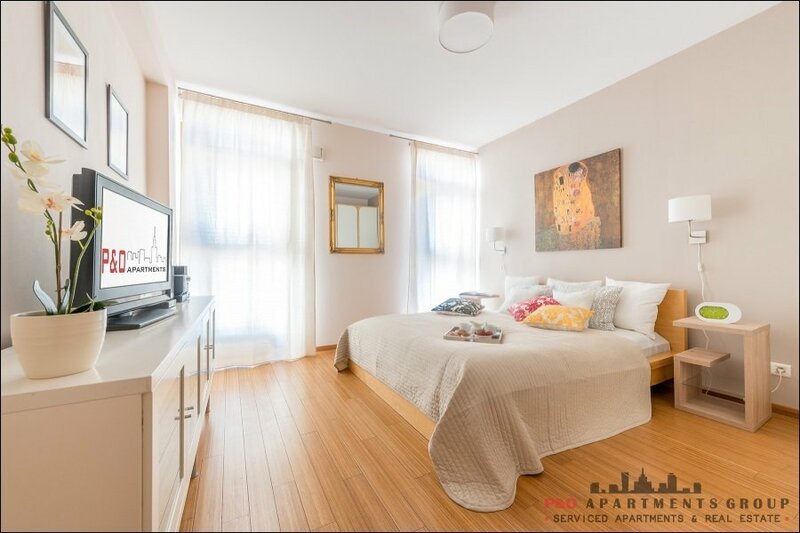 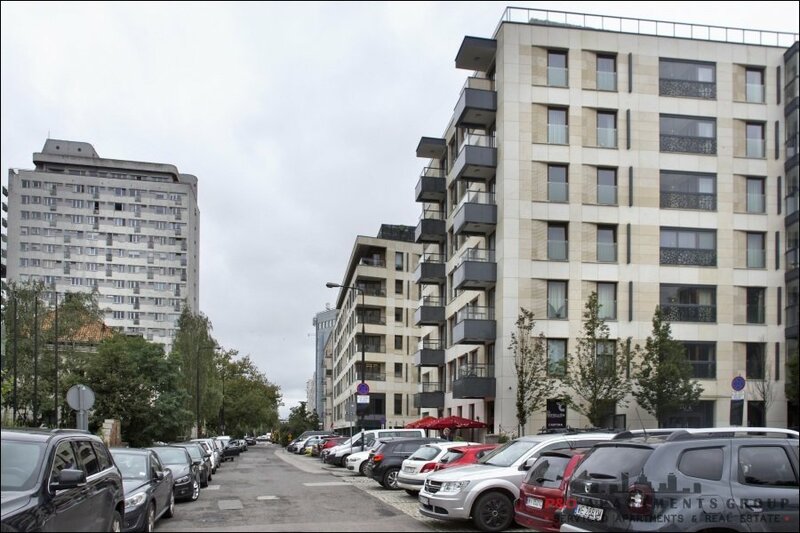 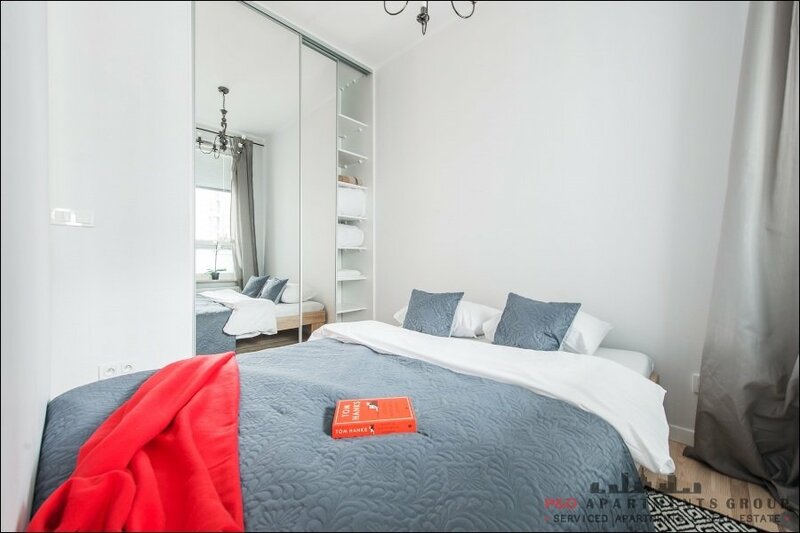 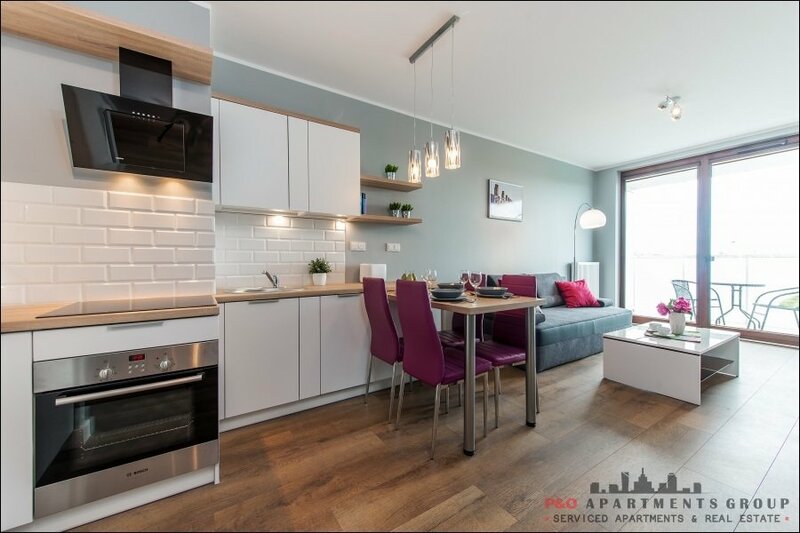 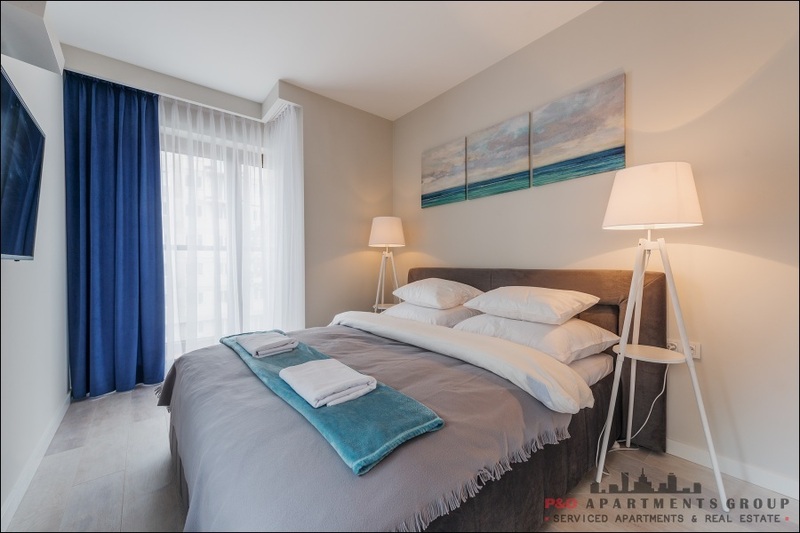 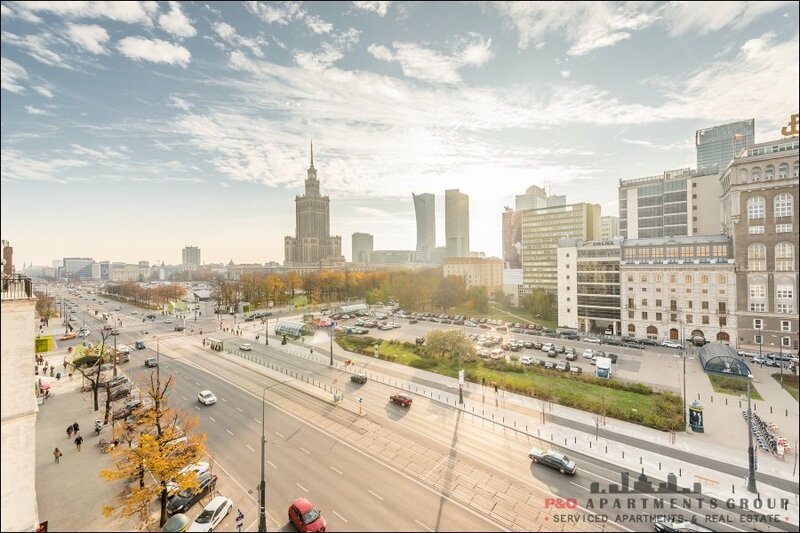 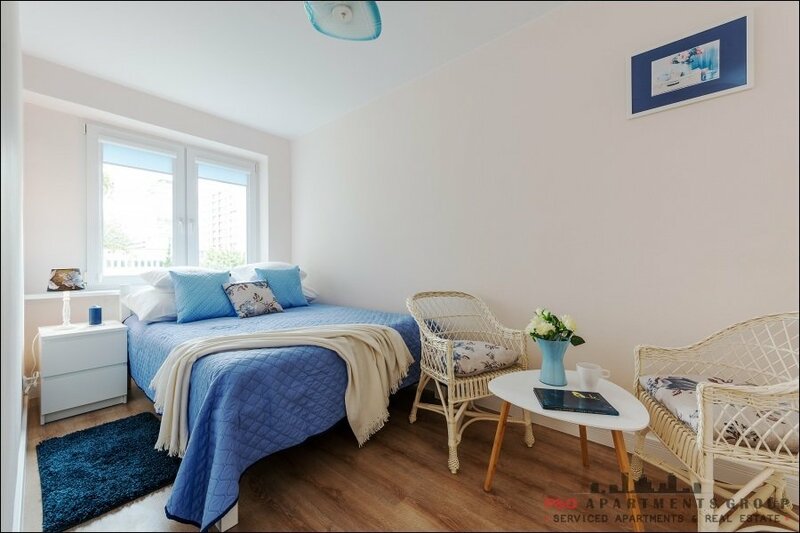 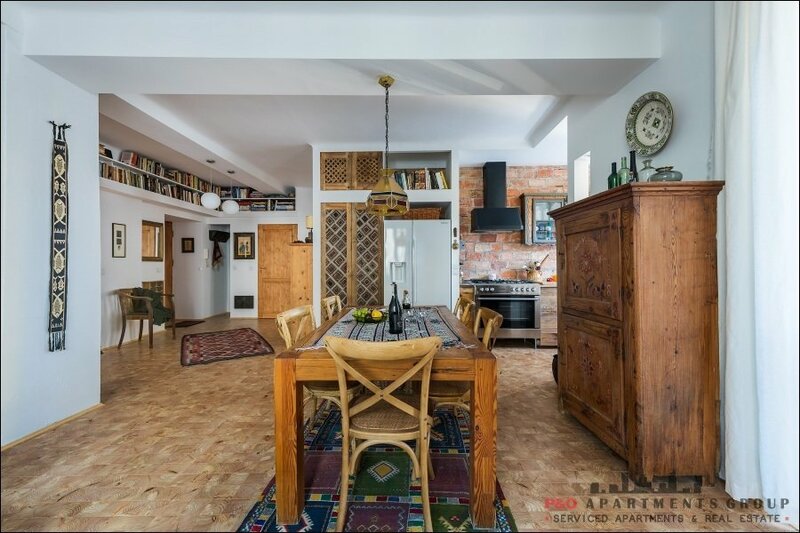 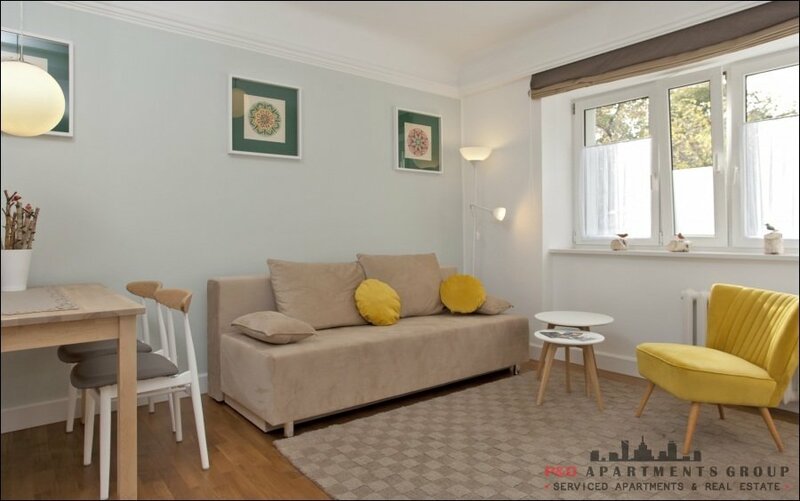 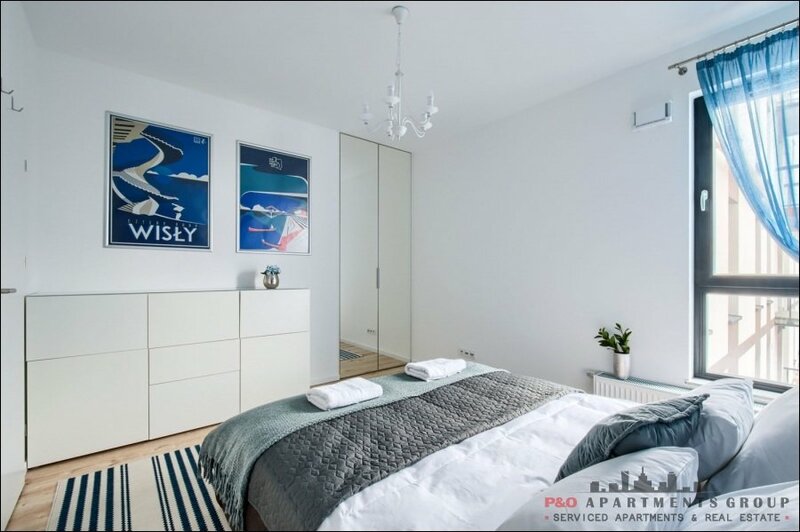 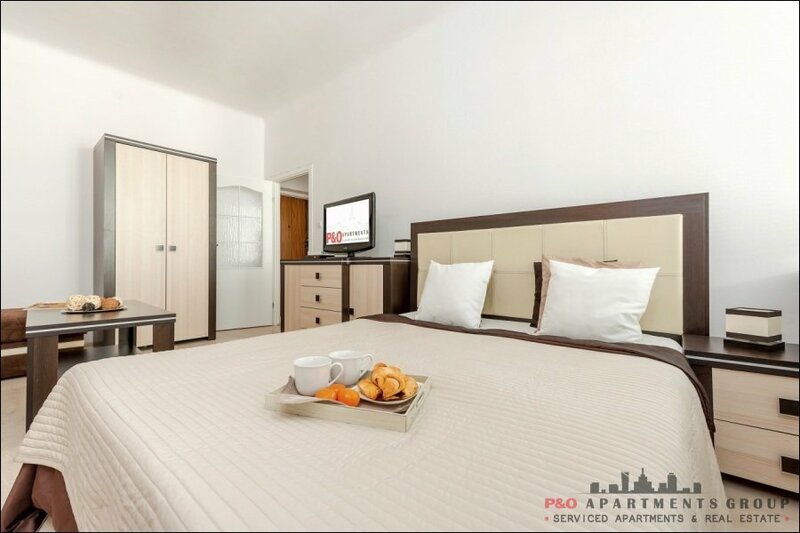 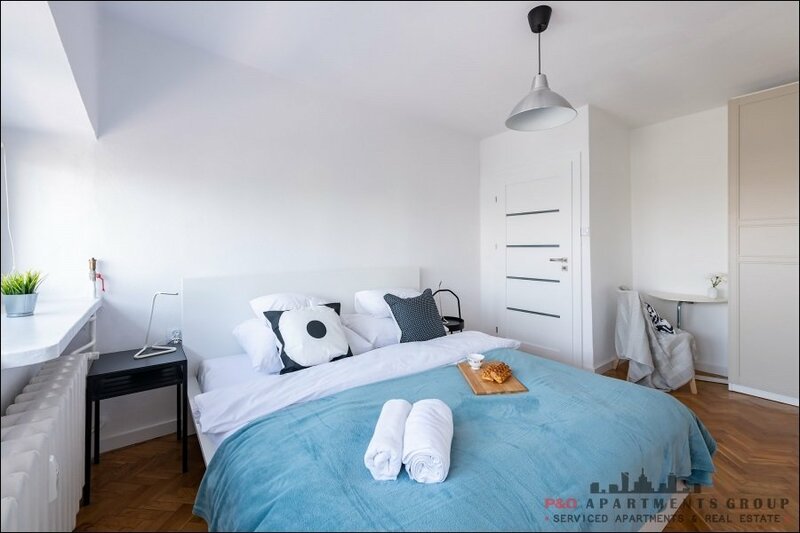 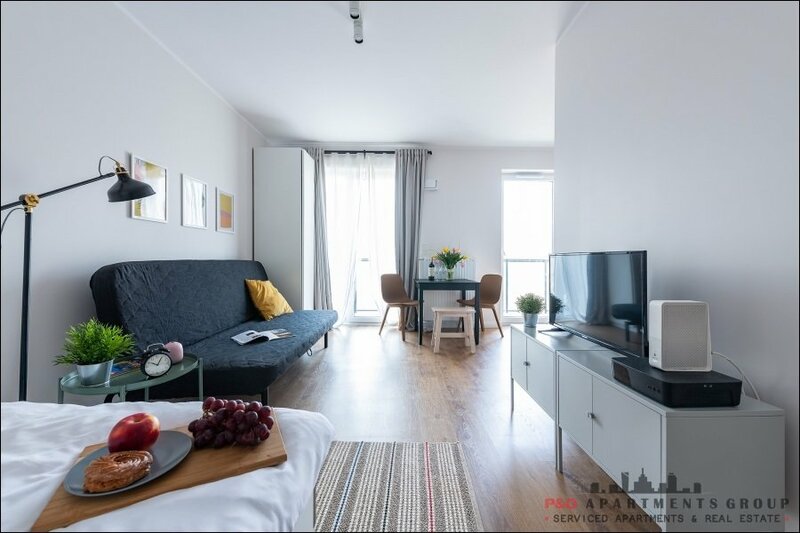 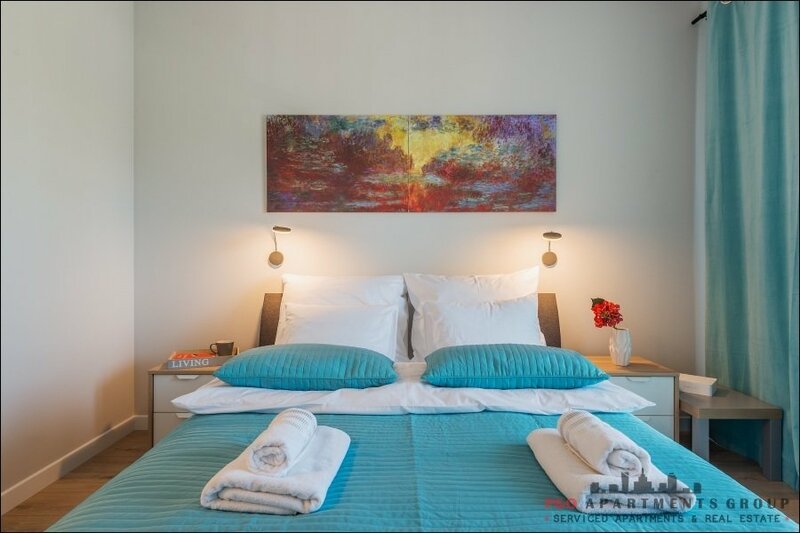 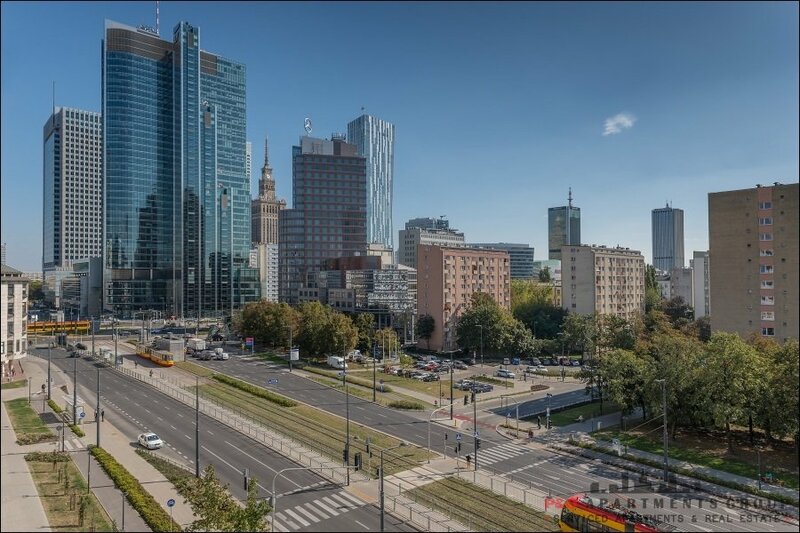 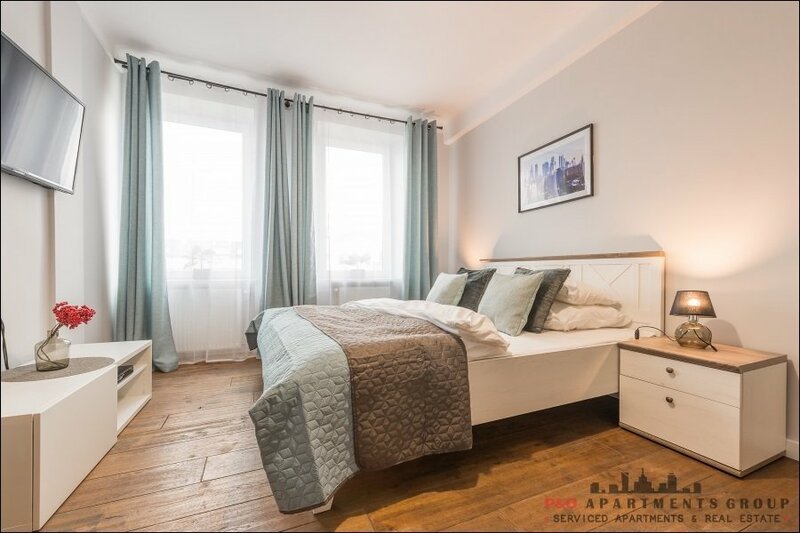 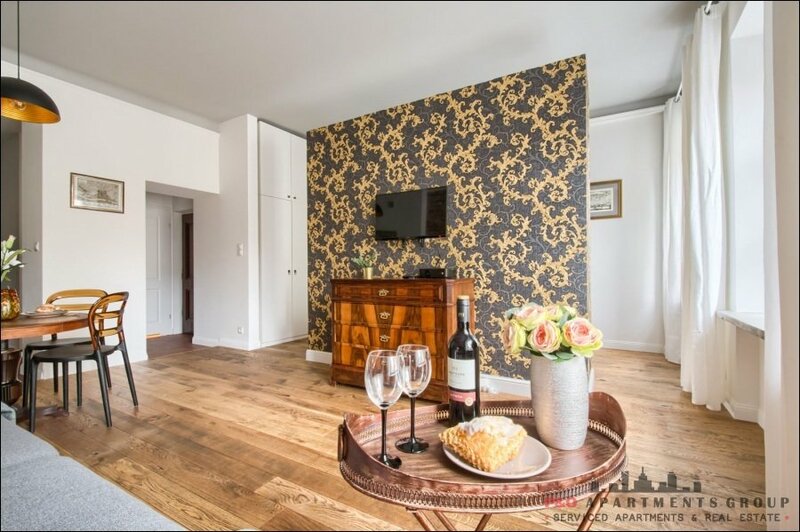 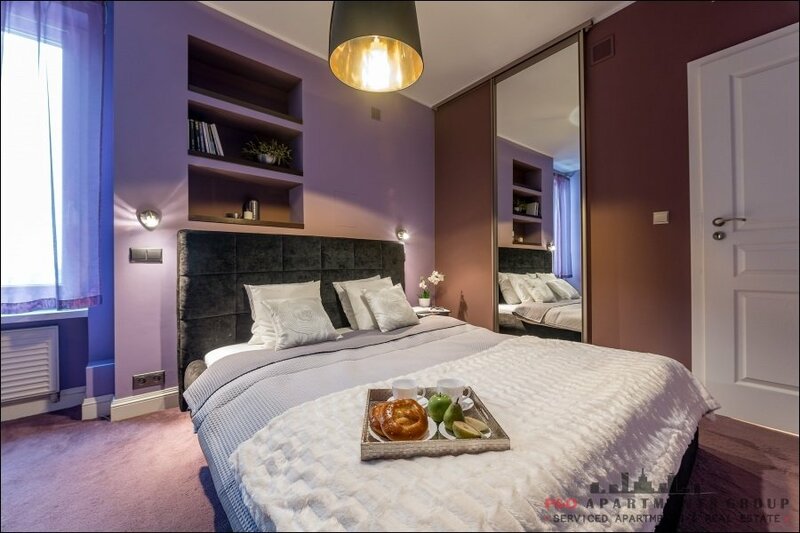 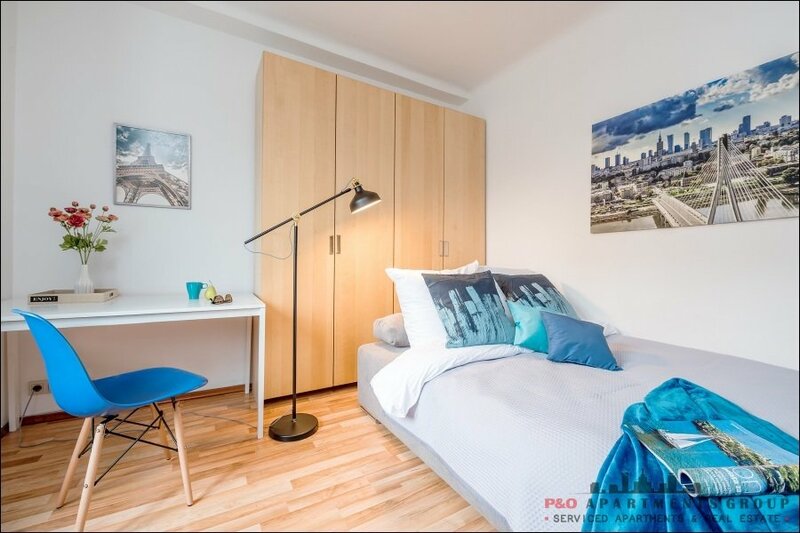 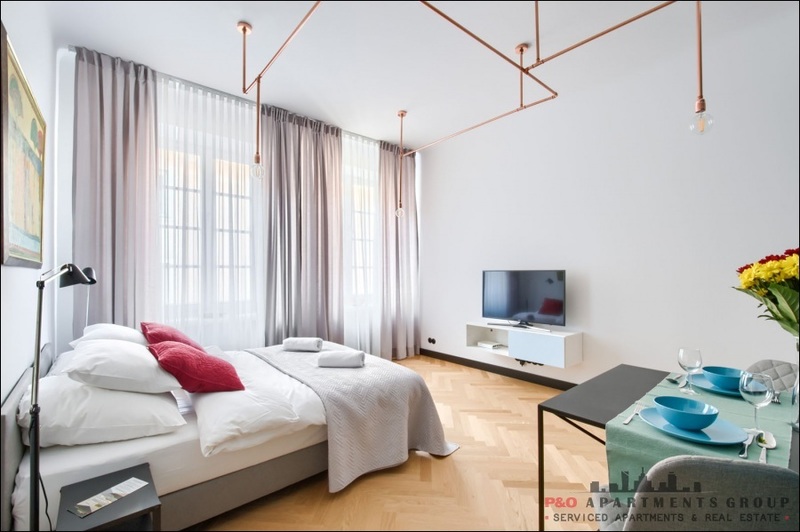 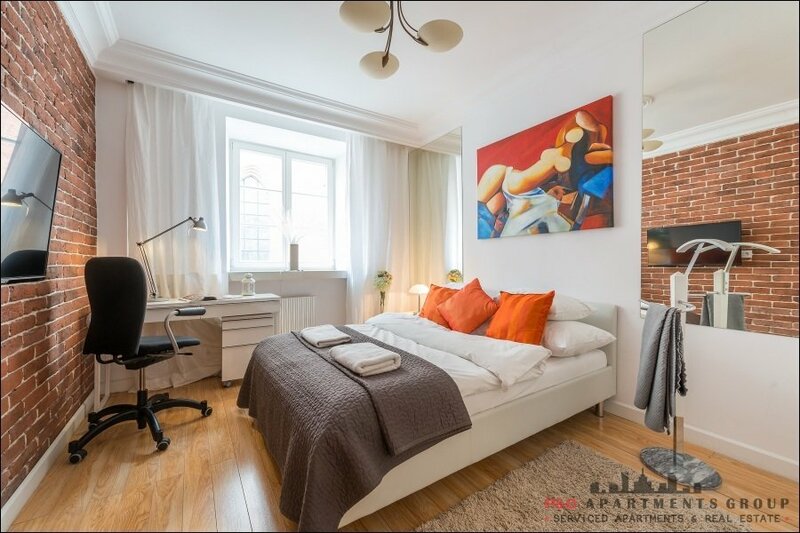 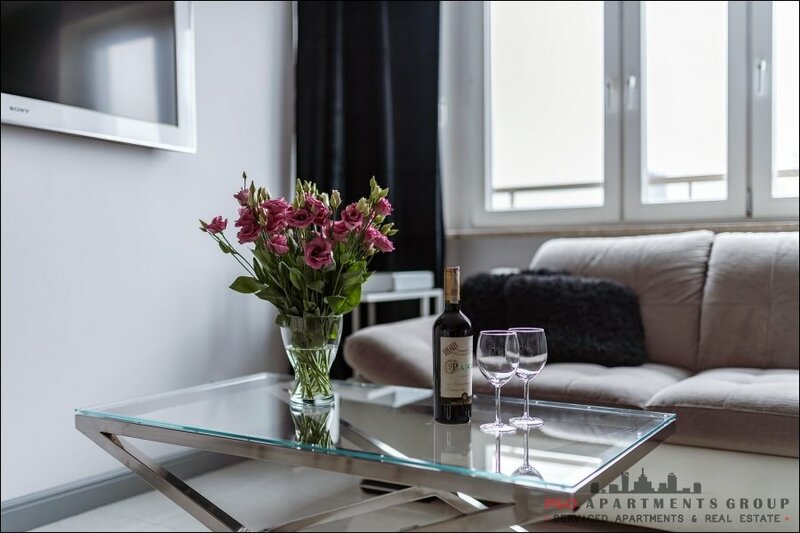 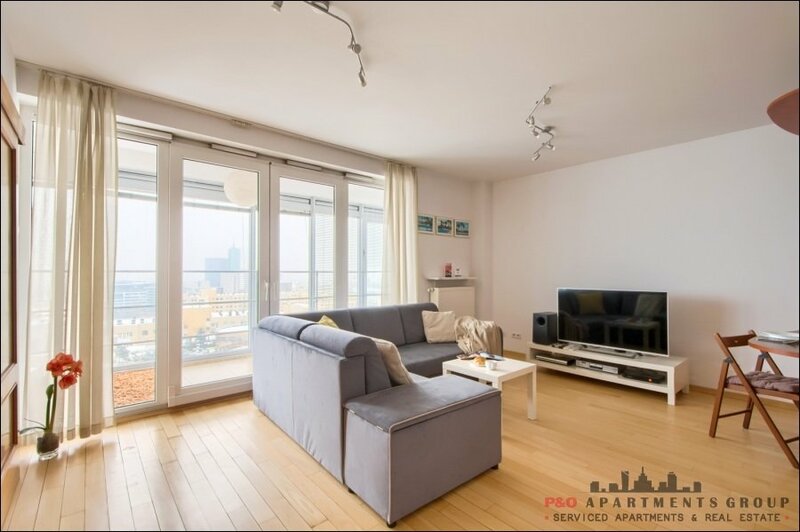 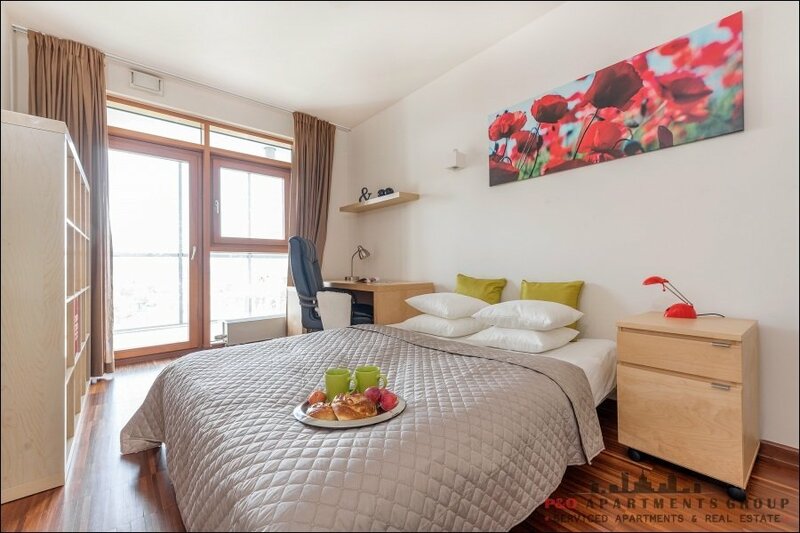 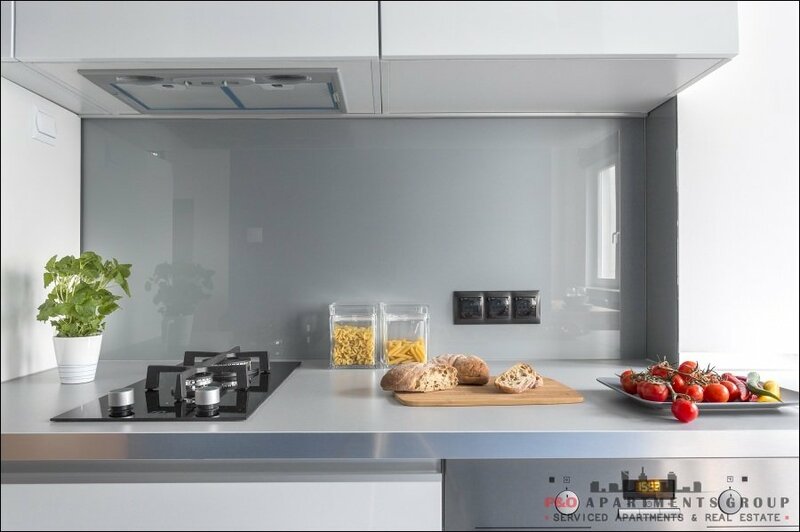 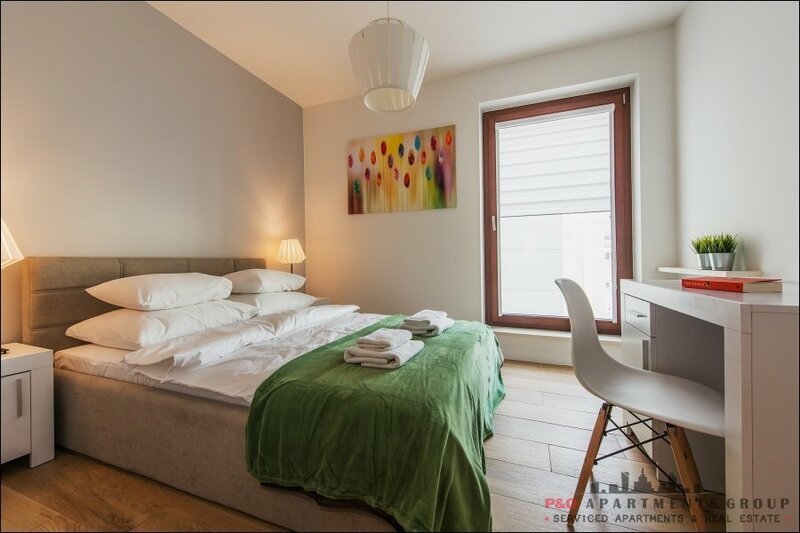 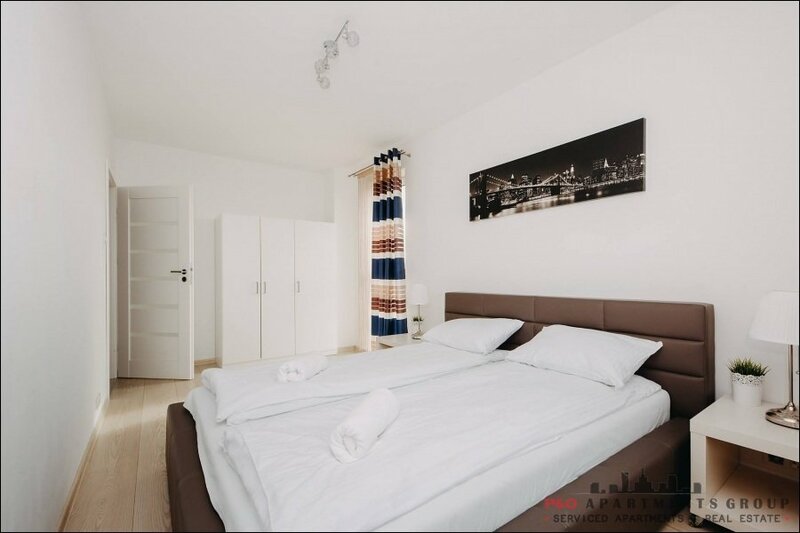 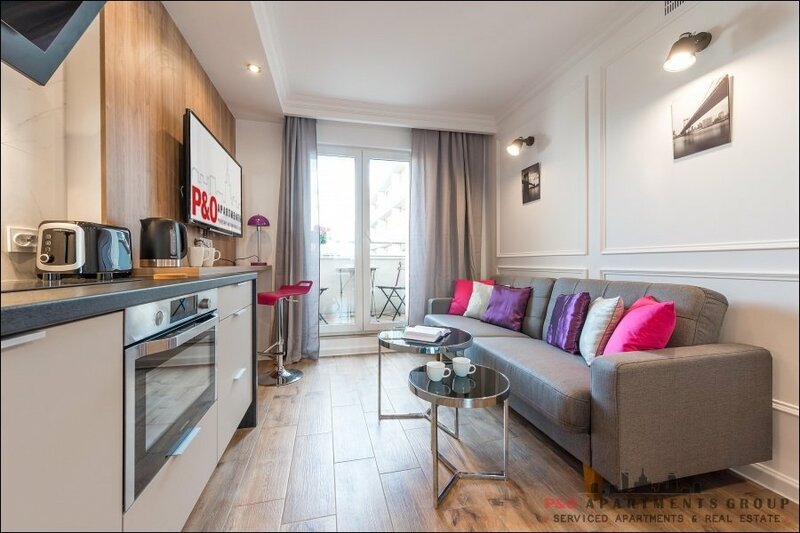 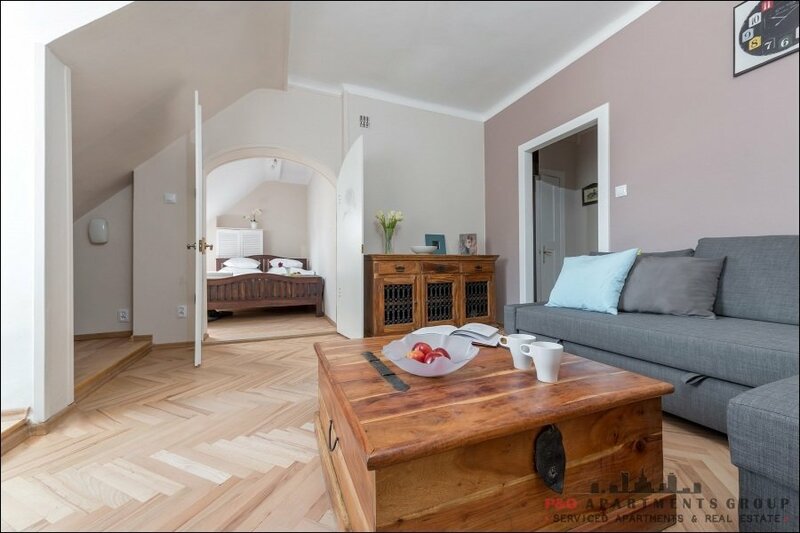 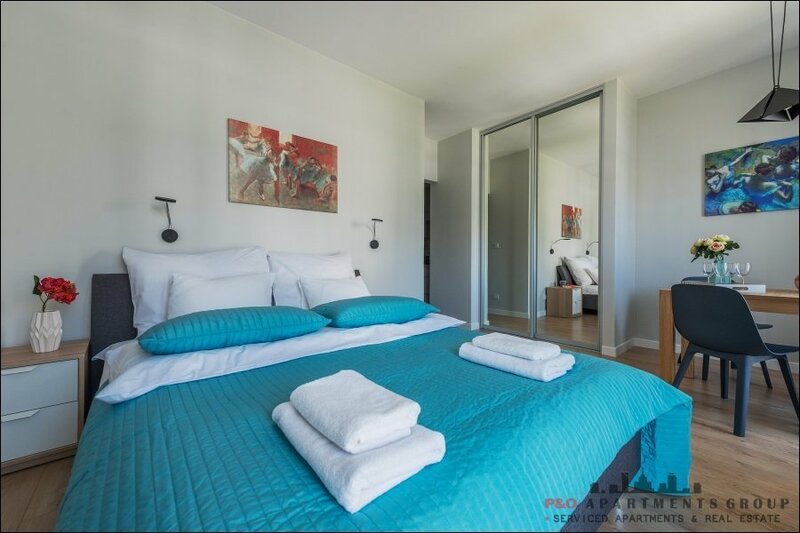 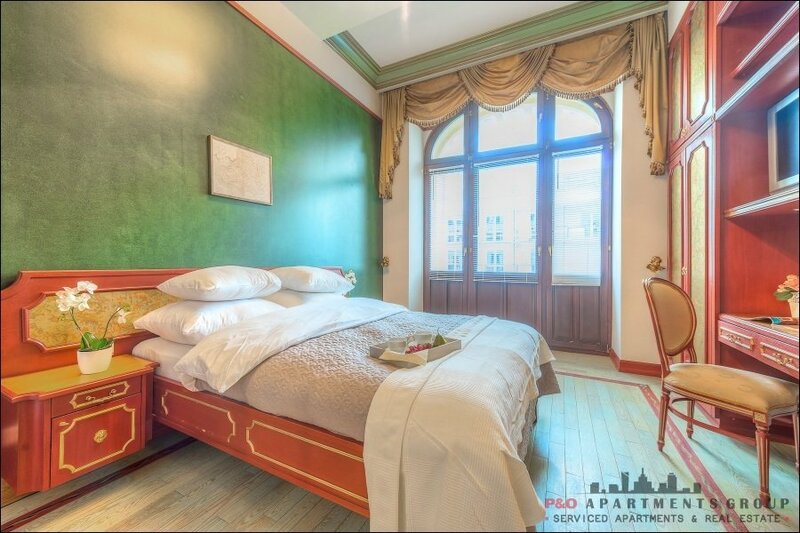 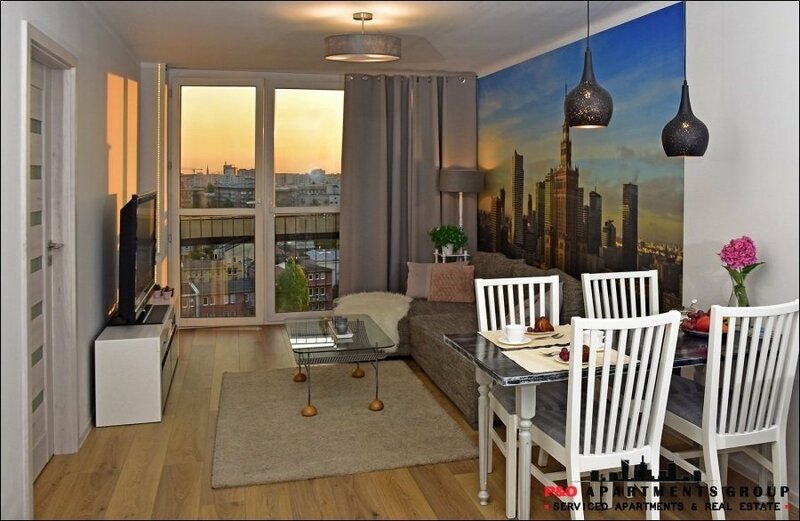 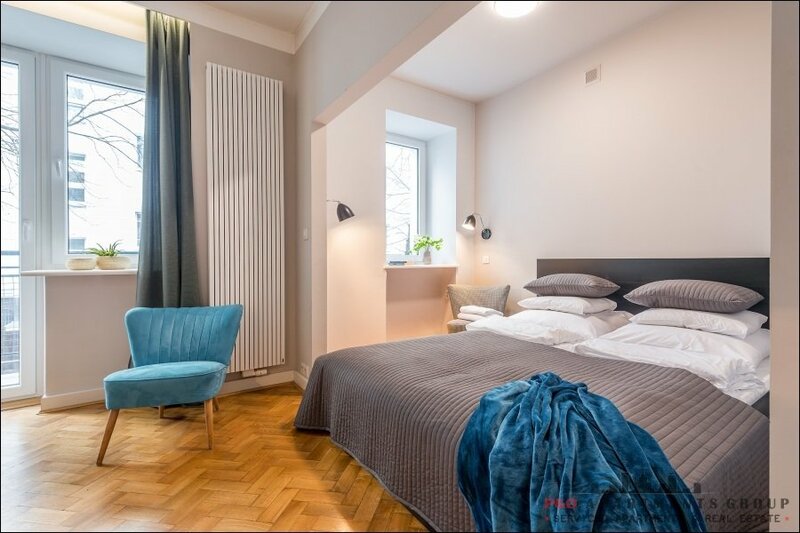 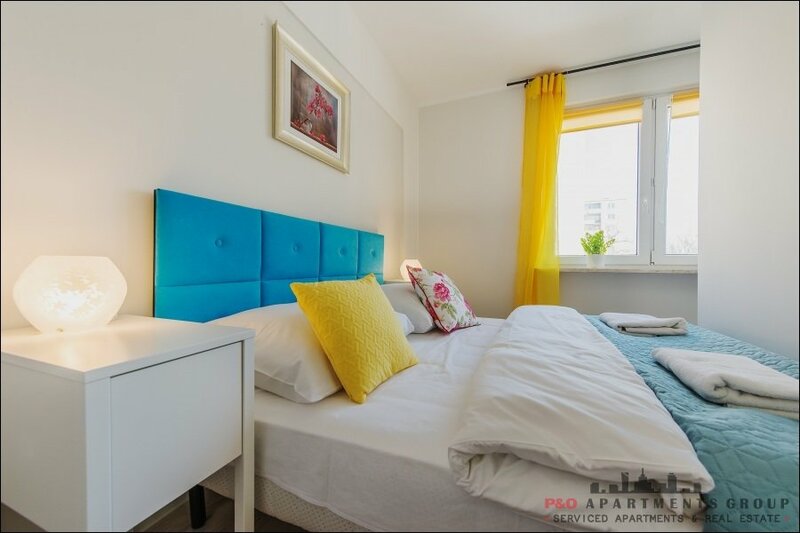 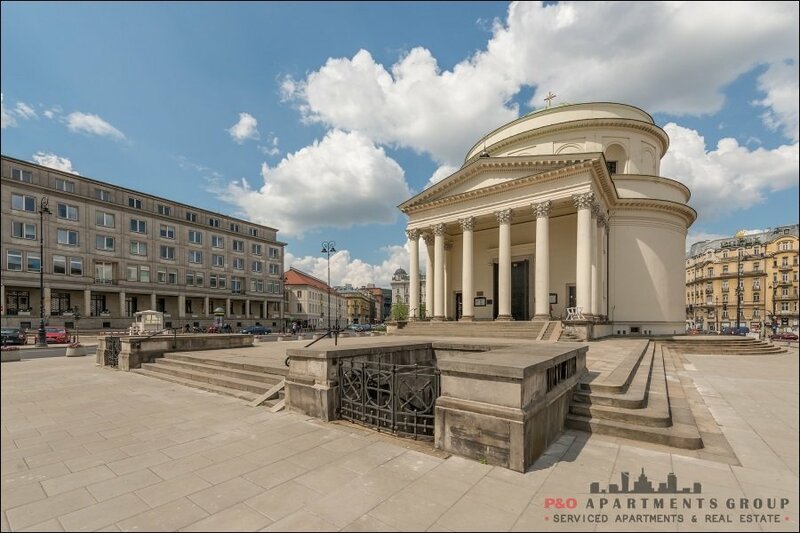 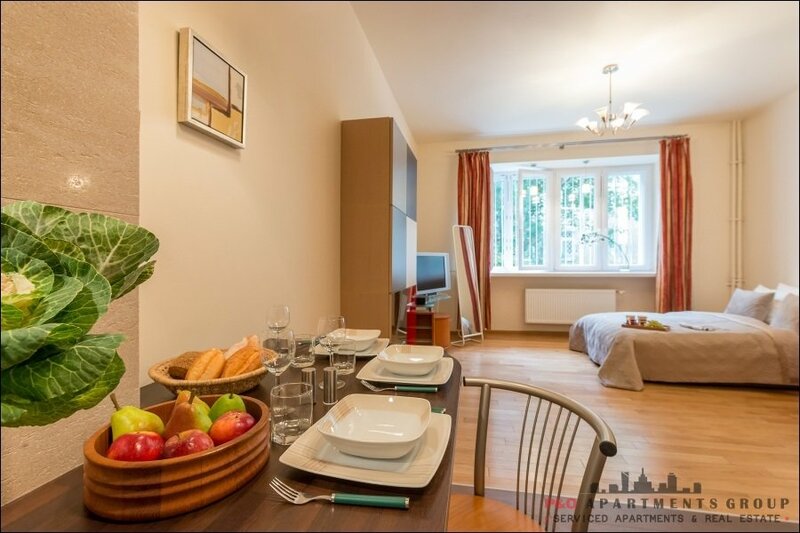 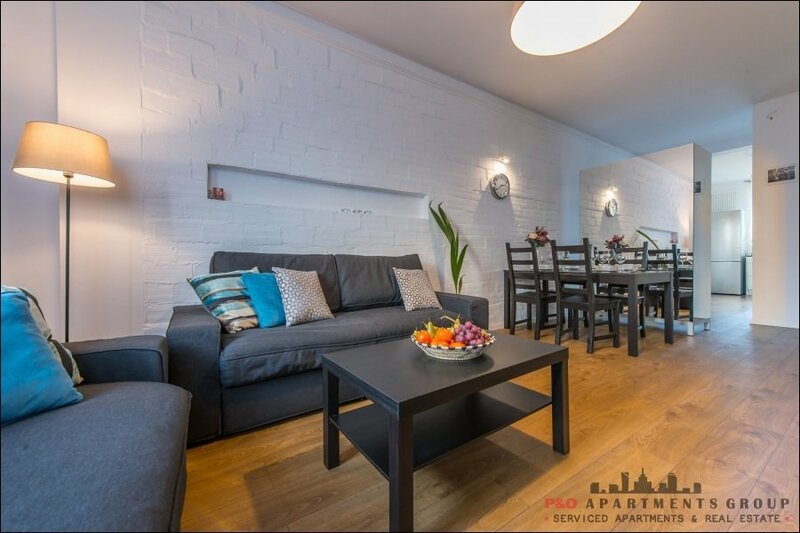 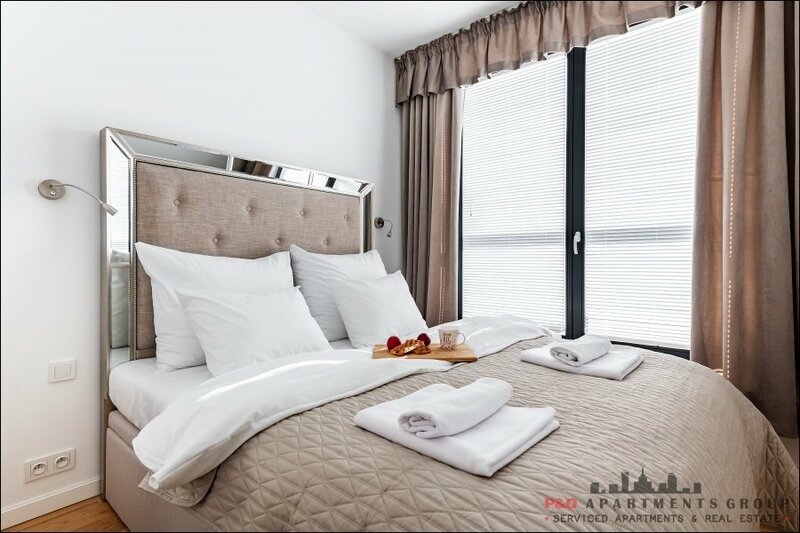 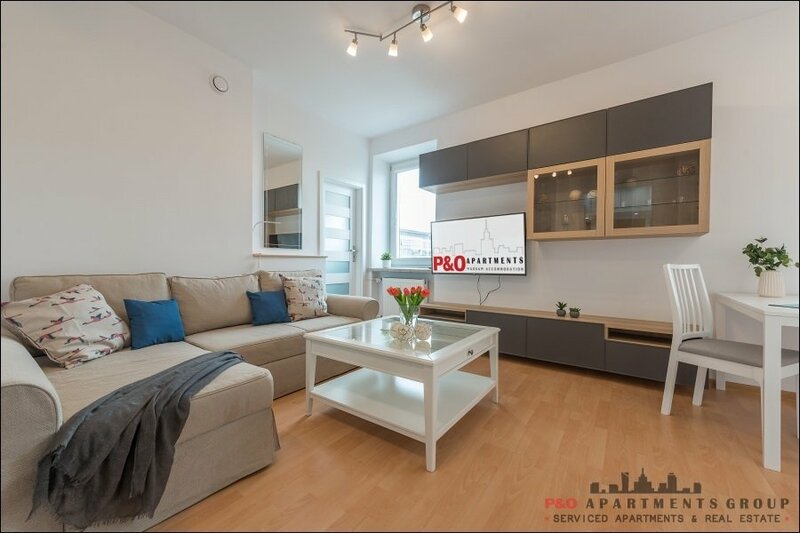 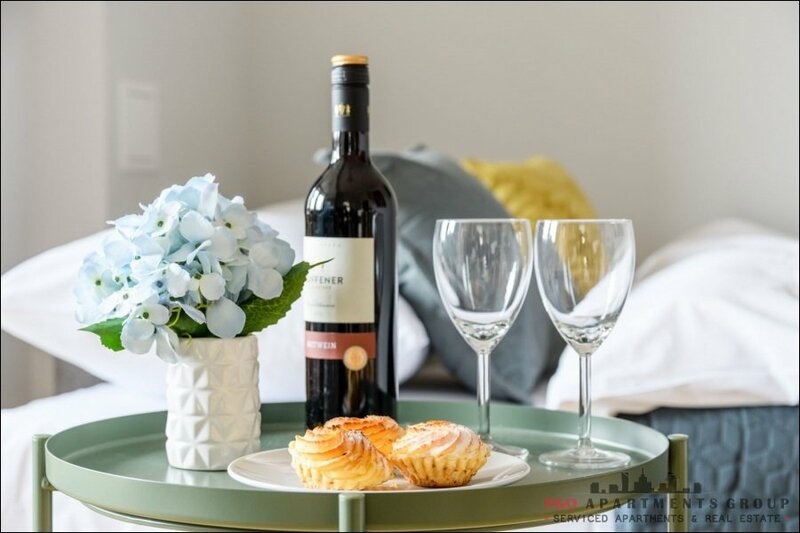 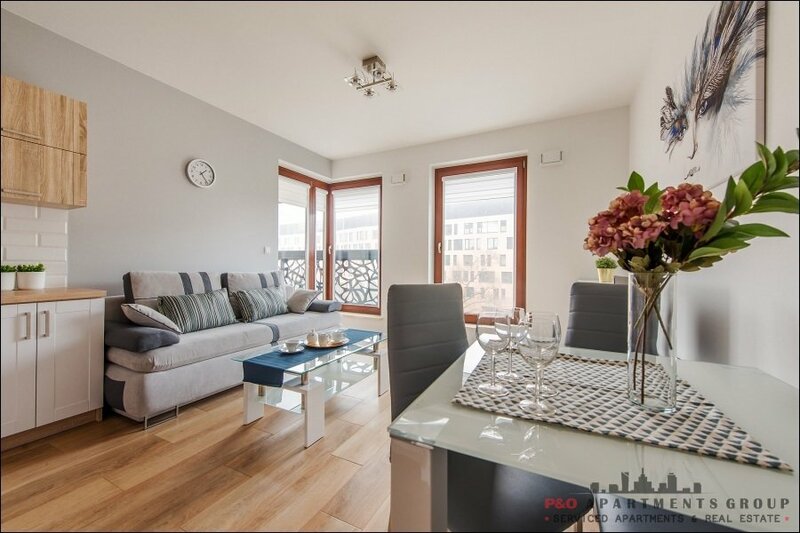 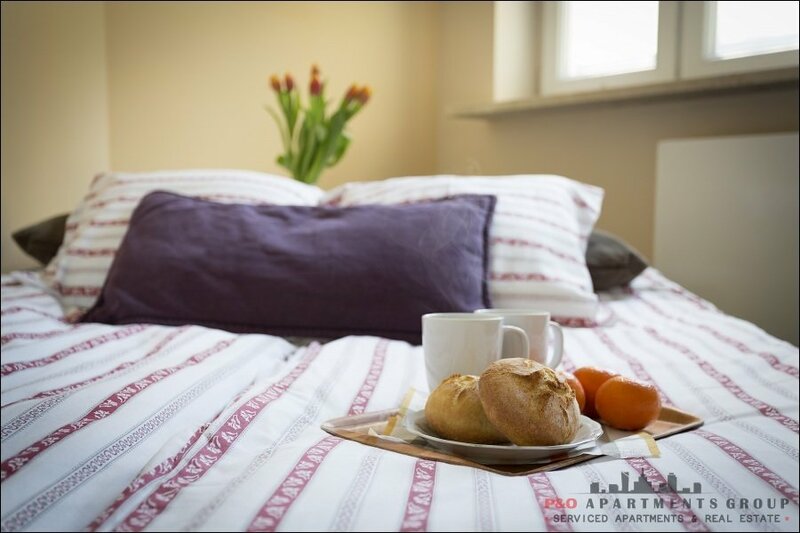 The apartment has one bedroom with a double bed, the living room is connected with a kitchenette, the windows offer a beautiful view of the center of Warsaw. 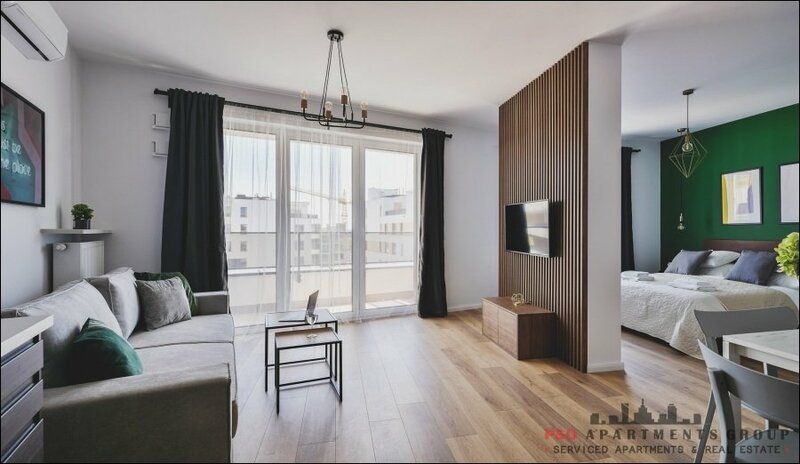 Apartment on the 9th floor, which ensures peace and quiet. 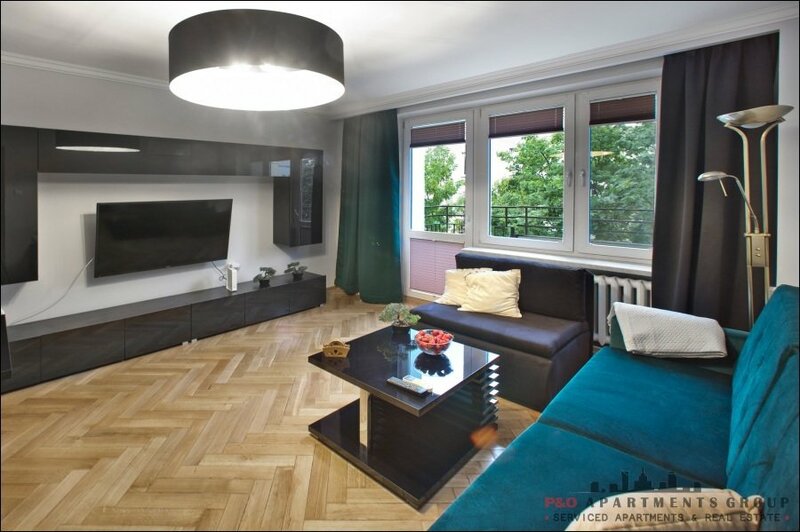 Available wireless internet and cable TV. 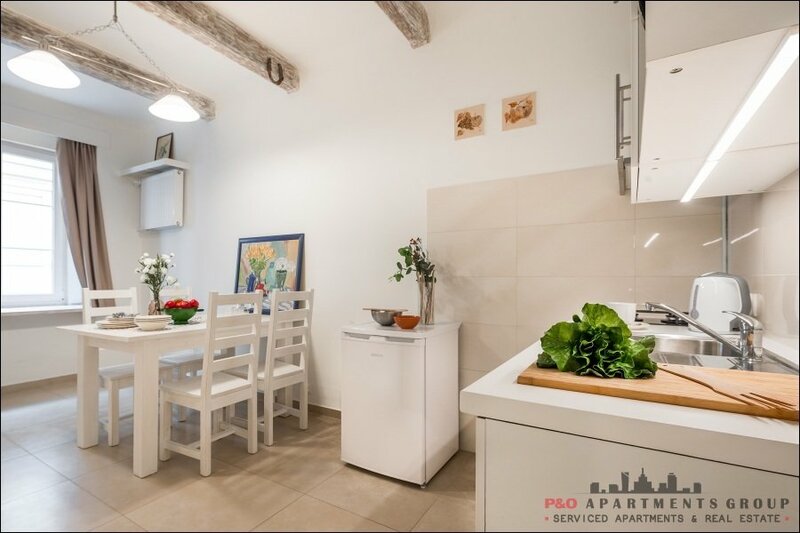 And: Internet-wi-fi and LAN, Cable TV, iron, ironing board, clothes dryer, vacuum cleaner, a set of kitchen utensils and cutlery. 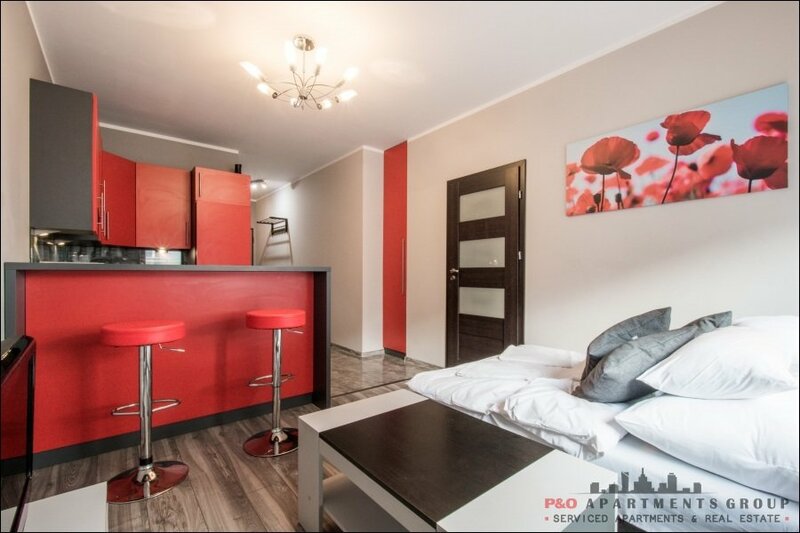 Apartment in Mokotów is ideal for both business and tourist stays.